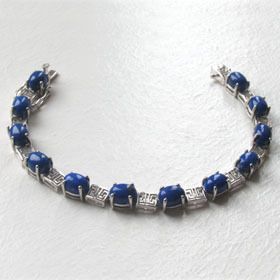 Lapis lazuli silver hoop earrings. 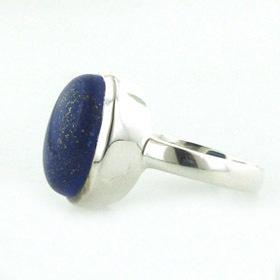 Stylish, elegant and a lovely twist on the plain hoop earring, these lapis lazuli earrings are a joy to wear. 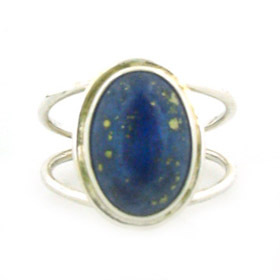 The sterling silver hoop is plain, beautifully curved and set with an oval lapis lazuli gemstone. 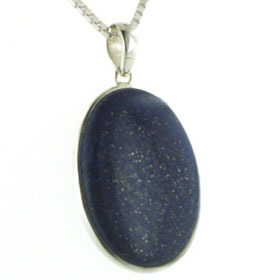 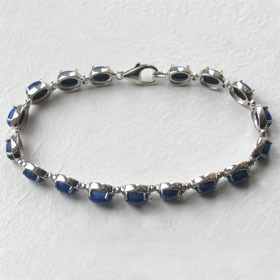 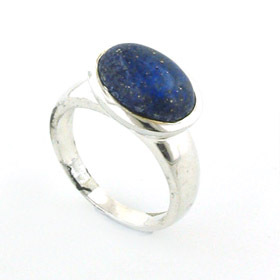 Lapis lazuli is a deep royal blue colour sometimes sprinkled with gold pyrite. 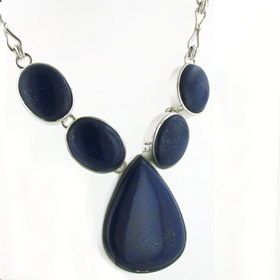 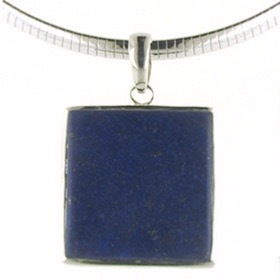 Lapis Lazuli is the birthstone for September - see our entire lapis lazuli jewellery collection.